The book I read this week was The 80/20 Principle by Richard Koch. 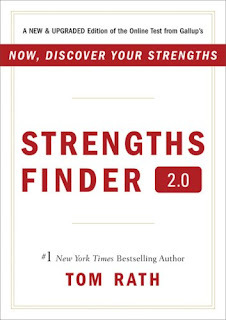 What a wonderful book on results-based living. The 80/20 Principle is about inputs and outputs, an imbalance in the world. 80% of the results, outputs, or rewards come from 20% of activity, inputs, or effort. For instance, 80% of accidents on the road are caused by 20% of the drivers, 80% of wealth is held by 20% of people, and 20% of the work you do results in 80% rewards. This principle is used in business... many know it as the Pareto Law... The law of the trivial many and the vital few. The most important take-away is that there is an imbalance in the world... Things are not 50/50. I will help you apply this principle in 3 areas of your life: Business, Investing, and Happiness. Many consultants will use this principle when working with a firm and it results in enormous lasting effects. 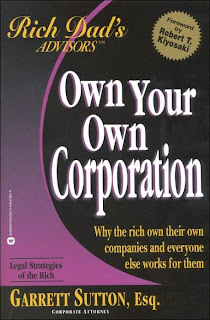 Koch was a consultant for Boston Consulting Group early in his career and I am sure he used his 80/20 principles many times in the course of business. How does it effect business? Many ways, but my favorite is that 80% of sales come from 20% of a company's products or clients. This also means that 80% of a company's products or clients only result in a small 20% of sales. So... Focus on the 20% of your products that give you 80%... If you are working with clients, build those relationships up and build on them. Big time clients have relationships with other business' and people like them, so exploit this information and build your sales portfolio with similar clients. If you are in retail, find the 20% of your products that result in 80% of sales and make them more visible. Put them in front of the customer. Too often do I find myself in a store and see a "hot" item tucked away in the back. Why? Most likely a mistake. Use this information to your advantage. Talk to the managers and make your business better. This will surely get you noticed and put you on the fast track to success. 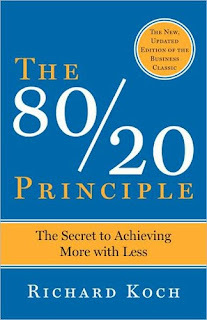 There are many applications within the business world to utilize the 80/20 Principle... just think about your inputs and outputs or effort and results and think about how you can implement a more successful way of doing things. Generally, it comes from simplifying an existing idea. Great examples of this come from Wal-mart, IKEA,and Gas Stations. They have taken an employee out of an operation and it has resulted in increased sales and a simpler operation. In what context? Wal-mart has made it so customers can check themselves out, IKEA lets people build their own furniture, and Gas Stations everywhere let people pump there own gas. This allows the respective business' to take the cost of an employee, the person that once did those services, out of their prices and gives them a huge competitive advantage. In what area could your business trim a service down to save some money? Be different and think simple... it works! It should be clear to most people that there is an imbalance on Wall Street. Some investments go up while others go down and in dramatic ways. This is why many people encourage having balanced portfolios (like me), however, Koch disagrees with this logic with good reason. Because there is an imbalance you are much more likely to make huge returns if you are heavily invested in one investment, about 80% invested. My thoughts on this is that when you throw all your eggs in one investment you do have a chance at great rewards, but you are heavily increasing your risk. Koch's investment strategy could work for you if you have a lot of knowledge and information of the investment you are putting yourself into. For example, you could invest in the company you work for because you know about the operations and you know whether it is getting better or worse. I encourage everyone to find the investment strategy that fits their personality best and if this one is for you, go for it! I am a huge advocate of always striving to increase levels of happiness in life. This book declares that 80% of our happiness comes from 20% of what we do. So we should simply analyze what falls within this 20% and do more of it and less of the 80% that only slightly increases our happiness levels. So if going on vacation with your family is in your 20% than arrange your life to do it more. And on the other side, if you have things in your life that you feel are pointless and result in low levels of happiness or unhappiness, then do them less or stop them all together. If its a social event or a meeting and you feel its pointless, you probably won't be missed if you stop attending and if its a chore, assign it to someone else. If this means getting a housekeeper, then do it. Happiness should take a very high priority in your life. I also want to mention that the 80/20 Principle is not linear. Meaning that it does not have to add up to 100. 80% of a company's profits could be from 5% of products and on the same note 95% of your happiness could be a result of 30% of your activities. The idea behind the book is that there is an imbalance. Once you understand this concept you can start looking for it and use the information to become more efficient in every aspect of your life. So there you have it. Applications for the 80/20 Principle. I have been asked by many people how I do everything I do: Read a book a week and write this, work on my career, analyze new investments and have a life. Well I guess I use some of the ideas outlined in this book and I didn't even know it. Additionally, I don't see anything I do in my life as "work": I love reading, I love writing this blog and teaching others how to be better, I love my career and the work I do, and I love learning about new investments and using that information to build my wealth. When I don't like doing something I find a way to do it differently so it's enjoyable or I ask someone else to take care of it for me. If you enjoy doing something there is a high probability that you are good at it. If you aren't good at something then giving that task to someone who is good at it, and following the same logic, that person will most likely enjoy it, this means it is the right decision. In fact, if you work on being smart about your delegation of tasks, you simultaneously turn yourself into a better leader. There is a lot of great information in this book and I think anyone that reads it will improve their life greatly. I recommend it to everyone. If you have any questions on the book don't hesitate to ask. I would be more than happy to help anyone that wants it. 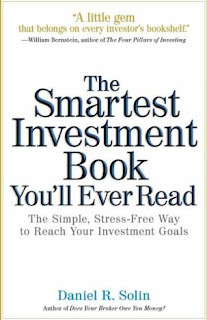 The book I read this week was The Smartest Investment Book You'll Ever Read by Daniel R. Solin. I loved it. Fantastic ideas that follow my personal investing philosophies. Solin's book has four sections although I feel like there were really two main ideas. One, that index funds are a more solid investment strategy than stocks or mutual funds because you cannot, nor any "professionals," beat the market. And Two, how to invest in the index funds (the fun part.) Solin provides solid research that shows results of many studys. All evidence points towards using index funds. "Financial Experts" and Wall Street have spent lots and lots of money on marketing themselves. They pitch themselves as having a financial expertise that helps them predict the market. This is false. Marketing dollars have also gone into telling the public that mutual funds will provide a great return because of the diversity and that they are being maintained by a "financial expert" that can beat the market with their expertise. This is also false. The Truth: You can make just as much or more money than any "financial expert" and you can do this by avoiding mutual funds and investing in index funds. There are just a couple differences between index funds and mutual funds, but the differences make a huge difference. A mutual fund is managed by a person, this person is supposed to be able to predict what stocks and bonds will rise and fall, so they buy and sell to appropriately position the fund to make high returns... you pay a premium expense to have this "luxury." An index fund is managed by a computer and the computer buys and sells stocks to position the fund in line with the right ratio of the market. This means the index fund will always earn the market average. Now for the great news and another difference.... Mutual funds earn less than the market average 95% of the time. So you have a 5% chance to have a mutual fund that does better than a index fund. Additionally, many mutual funds have an expense ratio of about 1.4% whereas an index fund has an average expense ratio of .3%. So if that mutual fund does beat the market by a whole percent, which is very unlikely to begin with (5%), you would make more money if you had invested in the index fund. Why would you pay a premium to lose money? Great question... You shouldn't. 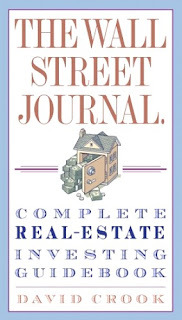 The book also analyzes the differences between the Smart Investor and the Hyperactive Investor. The Hyperactive investor is the "financial expert"- They spend all day every day trying to beat the market. This is very unlikely, very few individuals have been able to beat the market for an extended period of time. One of these people is Warren Buffet and it is unlikely that he is your financial adviser. The Smart Investor understands that you can not beat the market and also understands that in the long-term, the market makes great returns (9-12%). So this Smart Investor puts his money into index fund which pay the market average. Being a Hyperactive Investor is a great way to spend a lot of time getting no where... I am not a fan. Can you do it yourself? Yes! I am confident saying that anyone investing less than one million dollars can do so themselves, with very little oversight (checking in every 6 months or so). Now onto the what, how, and where... I am going to spell it out for you so read carefully. There is a rule of thumb for the ratio someone should use when they are going to be investing. Take your age and subtract it from 100 and that is what you invest in stocks vs. bonds. So if you are 30 years old you will invest 70% in stocks and 30% in bonds. I will use a 30 year old for the example below and we will use what Solin considers the Medium to High risk investor. The book also goes into investing in ETFs (Exchange Trade Funds) but I don't like ETFs. People invest in these if they want to own a portion in a commodity. If you are going to buy into a commodity, buy into gold and silver, hedging inflation, and don't buy the ETF. Buy the real thing off www.apmex.com. Well I just gave you a very powerful road map to great fortunes... I highly recommend this book. It's a very easy read and has great advice. 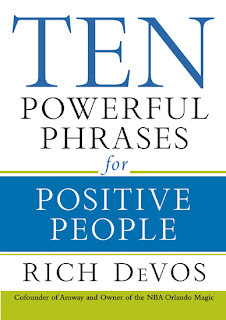 The book I read this week was Ten Powerful Phrases for Positive People by Rich DeVos. 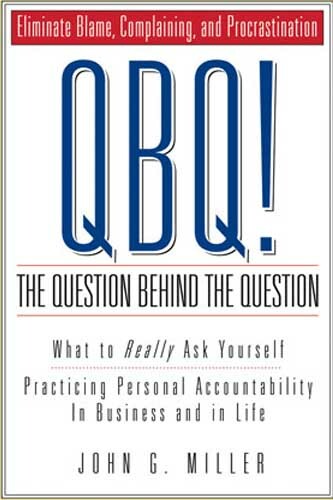 Interesting book, written by the cofounder of Amway and Chairman for Orlando Magic. DeVos has ten simple chapters named by the phrase and then in each chapter he writes about the usage and importance. Although I think DeVos does a great job using examples from his own life, I think it may be slightly boring if I repeat these stories, especially if you intend to pick up this book. Instead, I will give you the phrases and I will give my explanation of importance. Let's get to it! "I'm wrong"- It's important as a leader to be able to confess when you have done something wrong. If you don't know how to admit when you are wrong you come off as arrogant, and as a result, your team trusts and respects you less. If you admit when you are wrong, you come off as human, and have a great potential to build rapport. "I'm sorry"- Again, no one is infallible. Once you admit you are wrong, it's alright to tell someone you are sorry. This is usually best served if, in the moment of your arrogance, you argued with somebody. If the two phrases are used effectively, they can stop a storm of a fight and hurt feelings. If you treated someone unfairly or did something "wrong" then it's okay to apologize. I promise you won't come off appearing weak. "You can do it" and "I believe in you"- Encouragement... everyone wants it. It's a large reason that many people work as hard as they do. Someone encouraged them and they felt so excited that someone cared. It feels really good to have the support of those around you when you are going to pursue a difficult task. Many times when I lose faith in myself to do something BIG, my friends and family are there to give me a few words of encouragement and I gain the momentum to get whatever task done. "I'm proud of you"- After somebody has done something BIG it's nice to give them this phrase. It's another reason people do great things. It starts when we are little, we get all A's and our parents say "I'm proud of you" and give you a big hug. Attention is very important and everyone craves it. After that child was given that attention they crave that feeling again so they shoot for all A's again. As a leader, it's important to manage people's behaviors by acknowledging that they did something great. If you do it right, the behavior will become a routine and you will have effectively led that person to greatness. "Thank you"- I think this is a phrase that isn't said as much as it was in past generations. Telling someone thank you is a wonderful way to build that person up, create a stronger relationship, and differentiate yourself from every other person out there. My grandma has stressed the importance of writing thank yous to people. I have been better and better about writing them and now I have the top drawer of my desk filled with thank you cards, envelopes, and stamps. Writing a thank you card is one of my favorite ways to show appreciation, however, the words can be said at anytime, not just in a card. I have made it a habit to always thank people in the service industry. Your waitress, cashier, office staff... thank them all! "I need you"- If you need something, ask for it. 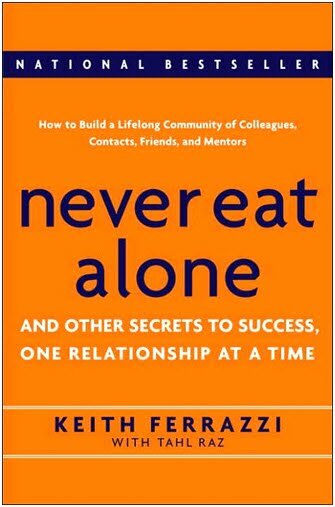 In my post on Never Eat Alone, I write about the importance of asking people for favors. If you tell someone you need them for something, it brings them closer to you and builds up that relationship. Depending on the task you needed help with it might be a good idea to send them a thank you card too. "I trust you" and "I respect you"- Some people may have the impression that you trust or respect them by the responsibilities you give them. However, they don't know for sure unless you tell them. So, just say the words, it will make them feel great, and probably even make them smile! "I am happy for you"- This one wasn't in the book, but I feel it is especially powerful. My grandpa introduced this one to me when I was young. I can't remember who he said it to or when it was, but it stuck with me. I remember I said it to someone on the phone one day when I was with him within the last couple years. He told me after I hung up the phone how powerful those words were... little did he know, I got it from him! So there you go... You are armed with a very powerful arsenal of phrases. I want to take this moment to explain the importance of tone. A widely repeated statistic on communication indicates that communication is 7% words, 38% body language, and 55% tone. Woah! 55%! If you are going through the checkout lane in your local grocery store and the cashier is disengaged, looking down the whole time, and monotonically says "how are you today?"... you don't even feel obligated to respond... it's because they are not communicating! Use your body language and your tone of voice to appropriately communicate your message. Make the recipient of your message feel engaged and obligated to respond to you! Communication is the most important skill to master in the business world. After you can effectively communicate, it's all downhill towards wealth and happiness. 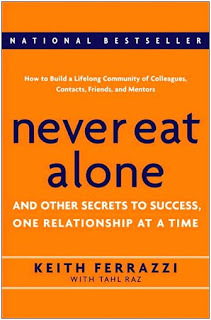 This book was good, but I spelled out a lot of the transferable information on this post. If you are interested in DeVos' life, which is pretty fascinating, I recommend you give this book a shot. If you have any questions on the book don't hesitate to ask. I would be more than happy to help anyone that wants it. Be The Next Edison, Carnegie, Schwab... By Thinking and Growing Rich! 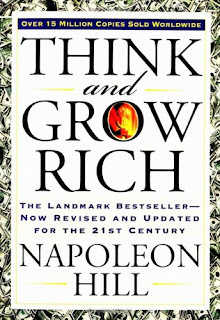 The book for this week was Think and Grow Rich by Napoleon Hill. This book is phenomenal.... From the writing to the ideas, the book is pure genius. 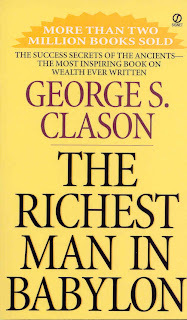 It is easy to walk away from this book and know that you can affect your financial status just by using the power of your mind. The book is broken into 13 steps toward riches, however, I am going to smash them all together within this review. The thirteen steps are really all based around the idea of desire and persistence to get your mind to do what you want it to. The mind is an amazing thing! If you truly focus and imagine an outcome, your mind will work subconsciously to make that outcome happen. If you see yourself making $250,000 a year by the time your are 30 years old by working in real estate renting out multifamily homes, you write it down, think about it all the time and even imagine yourself with that income, you will achieve it. You mind will work for you. You have to give it a very specific goal though. You cannot say you will be making $250,000 a year, and nothing else. Your mind won't know how to make that happen for you. It can't make a money tree grow in your front yard. You need to make SMART goals for yourself Specific, Measurable, Attainable, Realistic, and Timely. Fold them all together and you have yourself a perfect goal. When this is done your mind will help you adapt to the certain circumstances you find yourself in, so everything you do results in a baby step toward your greater goal. The other main idea that will help you achieve your wealth is... persistence. Hill uses several Great's anecdotes to guide the reader through this book. One person's stories I found especially helpful were Thomas Edison. Both amazing men and they both used the power of their mind to get their riches. Edison knew what he wanted and he didn't let any hiccup slow him down. He visualized his goals and he eventually achieved them. In fact, Edison is said to have failed 10,000 times. He called them temporary defeats. Just because something doesn't turn out the way we intend does not mean we are not meant to do it. If Edison had this mindset we wouldn't have the light bulb or his massive empire- GE. Once you set your goal, visualize them and never ever ever let you hold yourself back. Use the power of your mind to get what you want. "Have I attained the goal that I established as my objective for the year? Have I delivered service of the best possible quality of which I was capable, or could I have improved this service? Has the spirit of my conduct been harmonious and cooperative at all times? Have I improved my personality? And if so, in what ways? Have I been persistent in following my plans to completion? Have I reached decisions promptly and definitively on all occasions? Have I permitted any one or more of the 6 basic fears to decrease my efficiency? (Fears of Poverty, Criticism, Ill Health, Loss of Someone's Love, Old Age, and Death). Have I been over-cautious or undercautious? Has my relationships with my colleagues at work been pleasant or unpleasant? If unpleasant, has the fault been partially or fully mine? Have I dissipated any of my energy due to lack of concentration or effort? In what way have I improved my ability to provide service? Have I been intemperate (overindulgent) in any habits? Have I expressed, openly or secretly, any form of egotism? Has my conduct toward my colleagues been such that it has induced them to respect me? Have any opinions and decisions been based on guesswork, or accuracy of analysis and thought? Have I followed the habit of budgeting my time, my expenses and my income, and have I been conservative in these budgets? How much time have I devoted to unprofitable efforts which I might have used to better advantage? How might I re-budget my time and change my habits so I will become more efficient during the coming year? Have I been guilty of any conduct that was not approved by my conscience? In what ways have I provided more service and better service than I was paid for? Have I been unfair to anyone, if so, in what way? If I had been the purchaser of my services for the past year, would I have been satisfied? Have the actual purchasers been satisfied? Am I in the right vocation? Why/Why not? What is my present rating on the fundamental principles of success?" This book was dense with fantastic information, I recommend everyone get it for themselves and for a friend. The leather backed book makes a great gift- Thanks Steven! I want to leave you with a poem that can be found within the book... This poet definitely gets it! Ask Life for what you want and you will surely receive it. If you have any questions on the book don't hesitate to ask. I would be more than happy to help anyone that wants it. 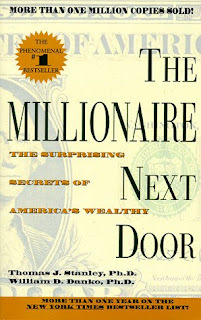 The book of the week was The Millionaire Next Door by Thomas J. Stanley and William D. Danko. Both authors are Ph.D.s and stumbled across some fascinating research which they based this book around. The two surveyed and interviewed thousands of millionaires to figure out what the living habits of the average millionaire really are. The book is very interesting and is well written especially taking in account it was written around research. Sometimes research-based books have the tendency to be boring. The Millionaire Next Door has it all right... great data and great case studies to reinforce the main points. Pick it up... I'm sure you'll discover a few helpful tidbits to increase your net-worth and put you on the track to being a millionaire. If you have any questions on the book don't hesitate to ask. I would be more than happy to help anyone that wants it. 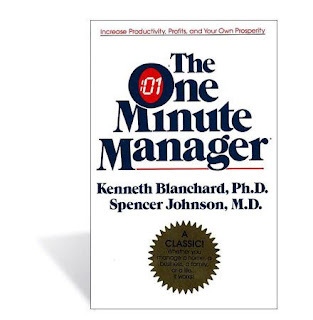 I read another classic book among fortune 500 companies, The One Minute Manager by Ken Blanchard and Spencer Johnson. I was happy with this book. It is exactly what is says it is.... a book that focuses on skills of a great manager and more specifically centered around the idea that the skills can be done in one minute. 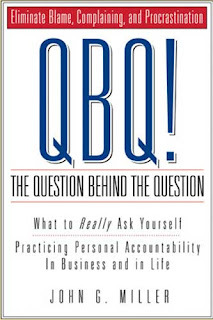 This book has a great story that can really impact a management professional or anyone that wants a little help with leading people. 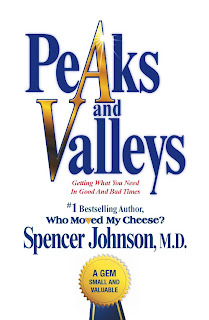 It's a very quick read and written by the same author of the book Who Moved My Cheese which was a great hit on this blog. If you have any questions on the book don't hesitate to ask. I would be more than happy to help anyone that wants it.